The Computational Design Innovation Lab is dedicated to the creation of novel algorithms and computational tools for the design and synthesis of complex mechanical systems. 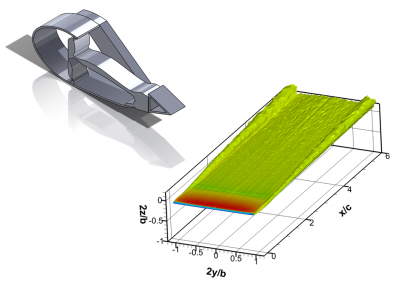 By combining numerical optimization with simulation codes for modeling the nonlinear response of the mechanical systems, we are able to synthesize optimal designs for a wide variety of engineering problems. The current trend in engineering design is to create increasingly complex, adaptive, multi-functional systems. Computational design optimization is a critical tool for meeting this demand, as it leverages both human creativity and the computing power of machines to produce designs that satisfy progressively more ambitious performance requirements. Designing these highly specialized systems requires the development of complex nonlinear, yet computationally efficient algorithms and mathematical models, which makes this area especially interesting and ripe for innovation.